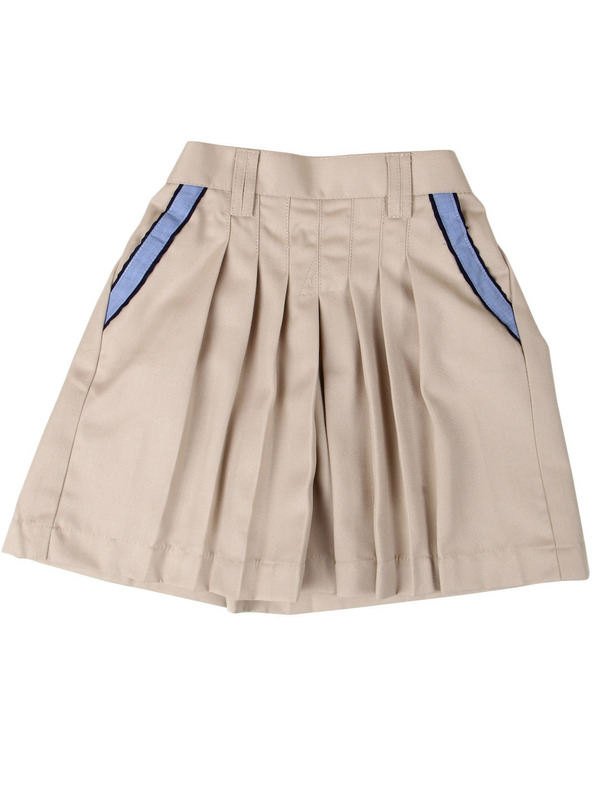 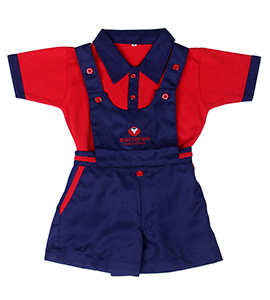 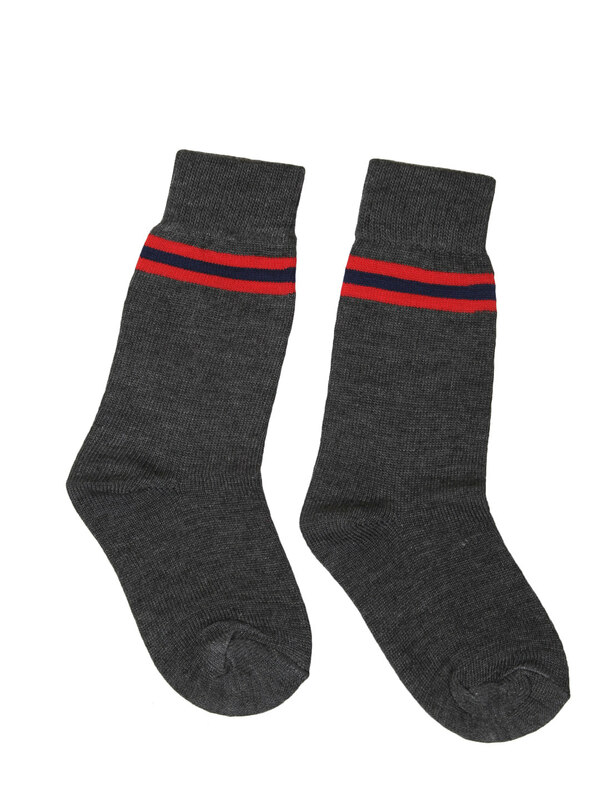 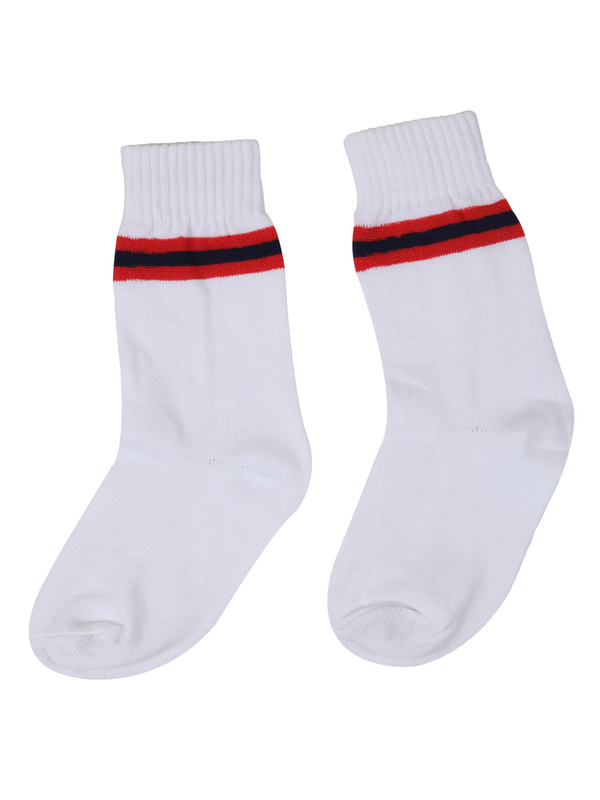 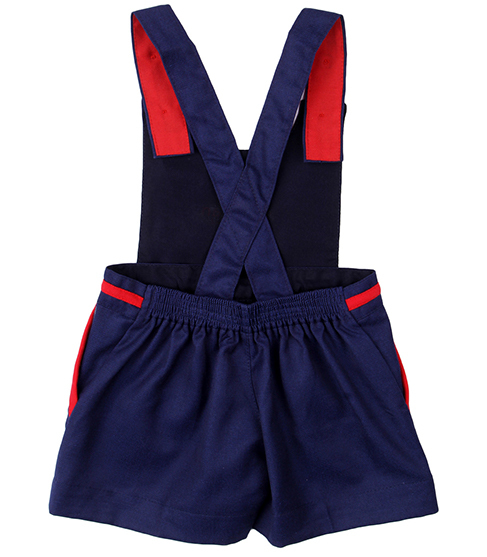 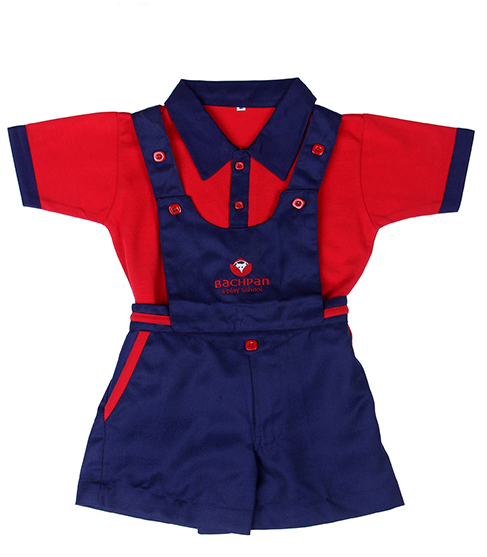 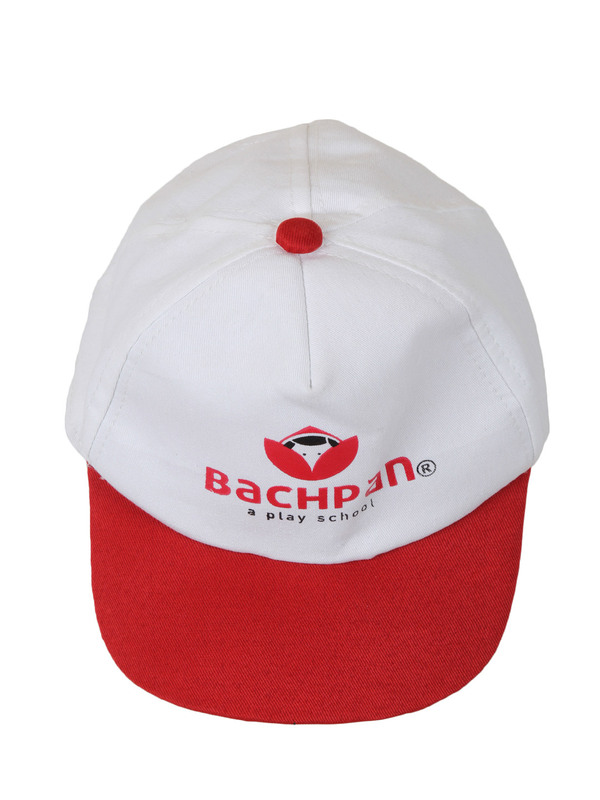 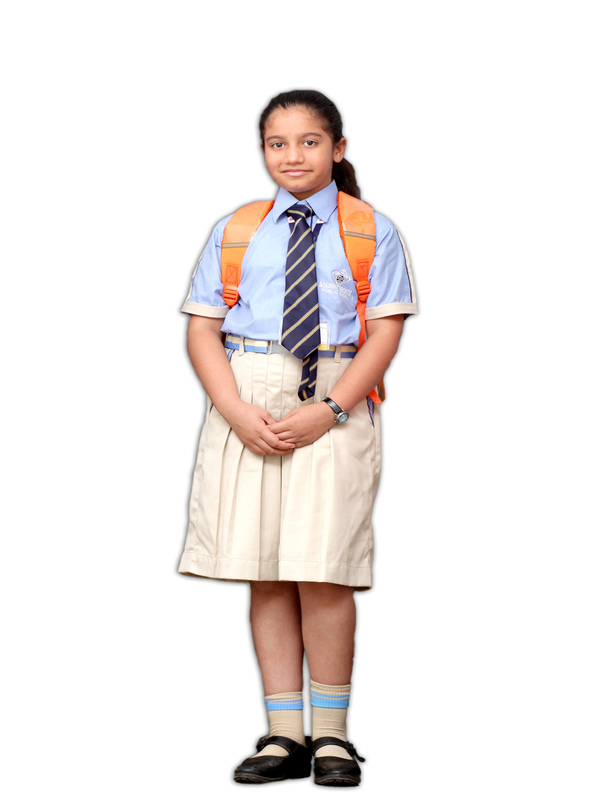 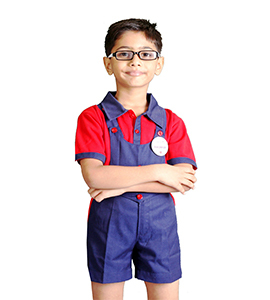 It is a part of the uniform which comes in red color with blue color collar. 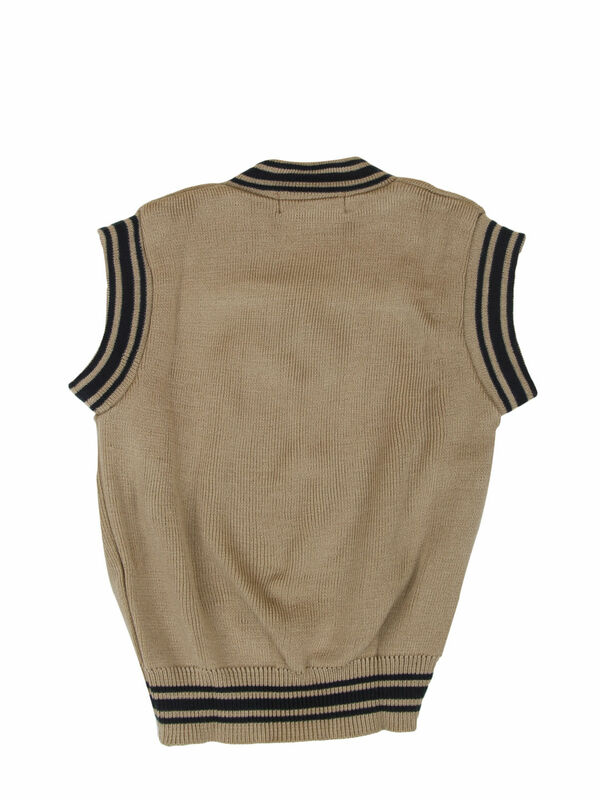 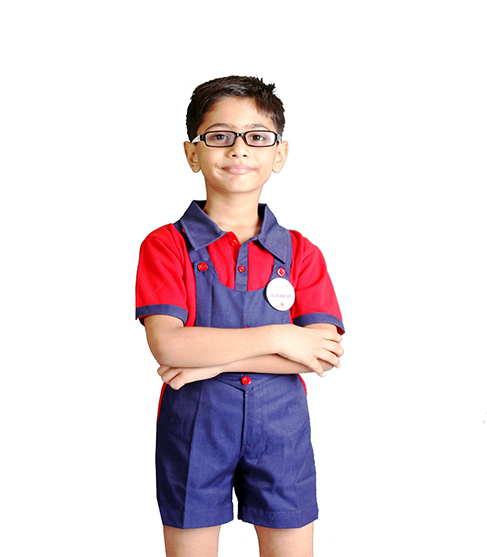 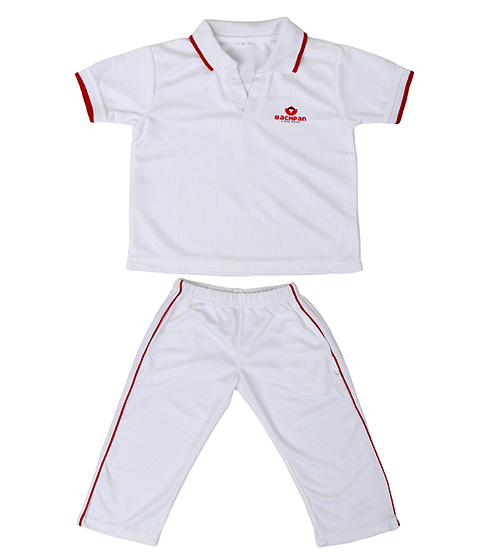 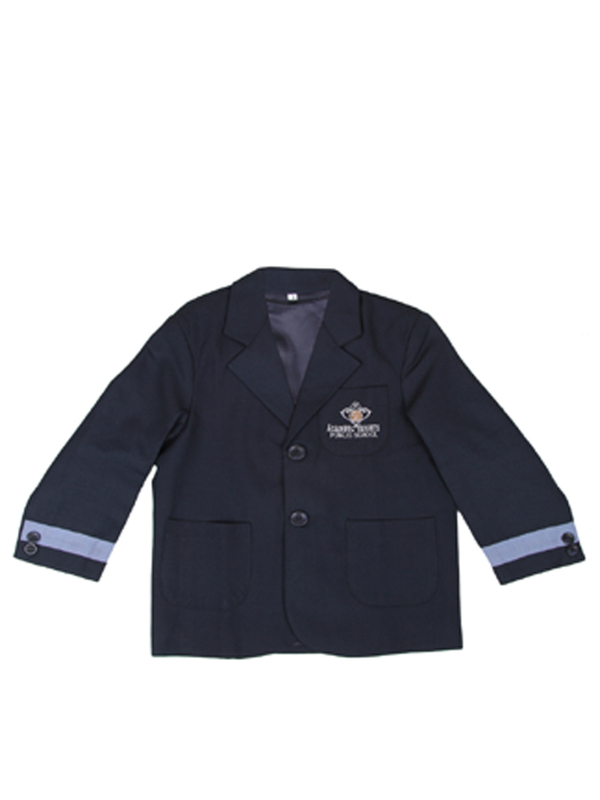 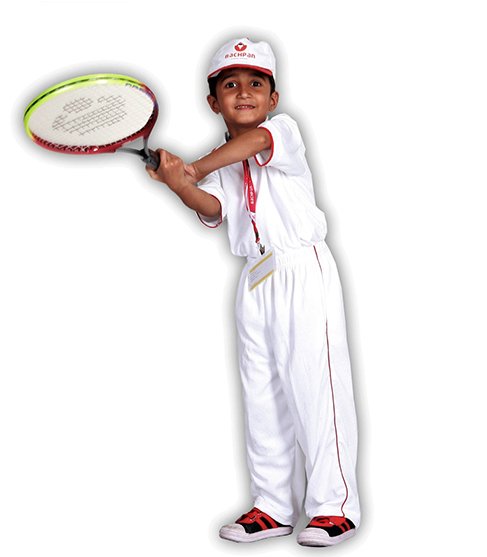 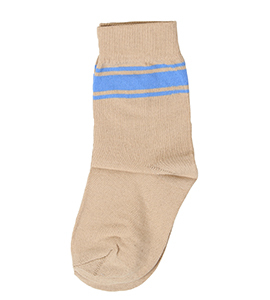 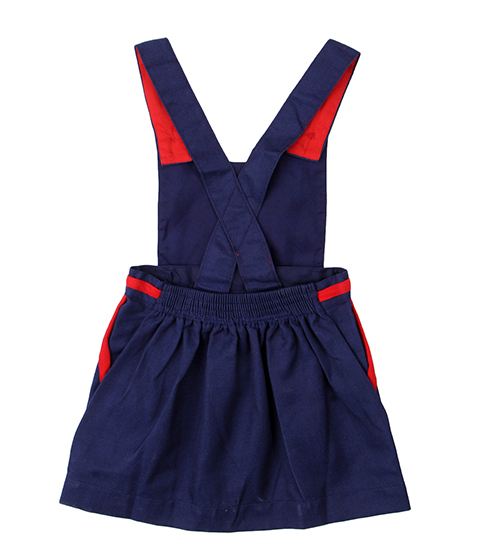 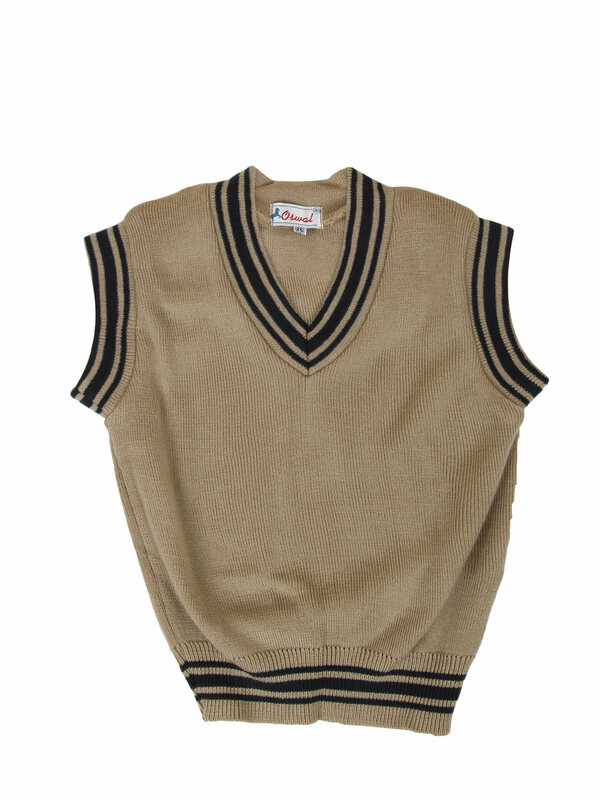 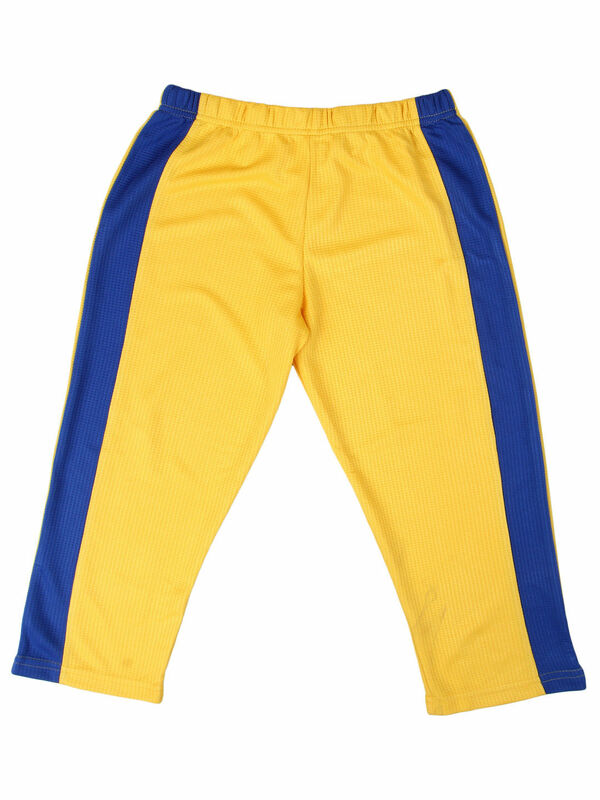 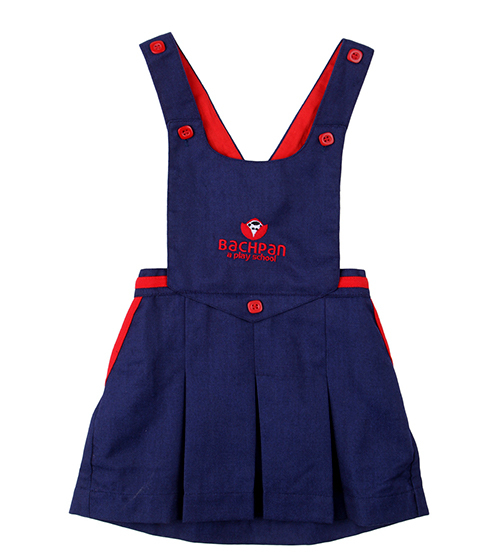 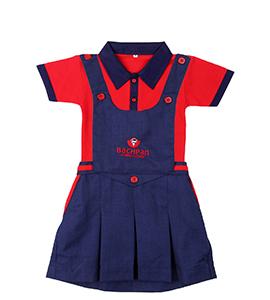 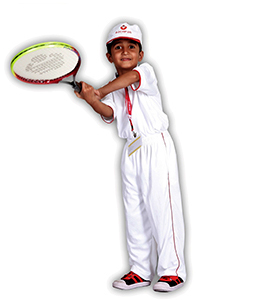 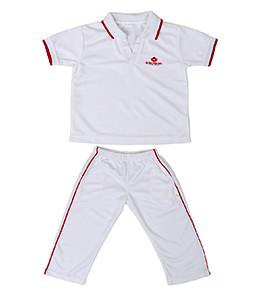 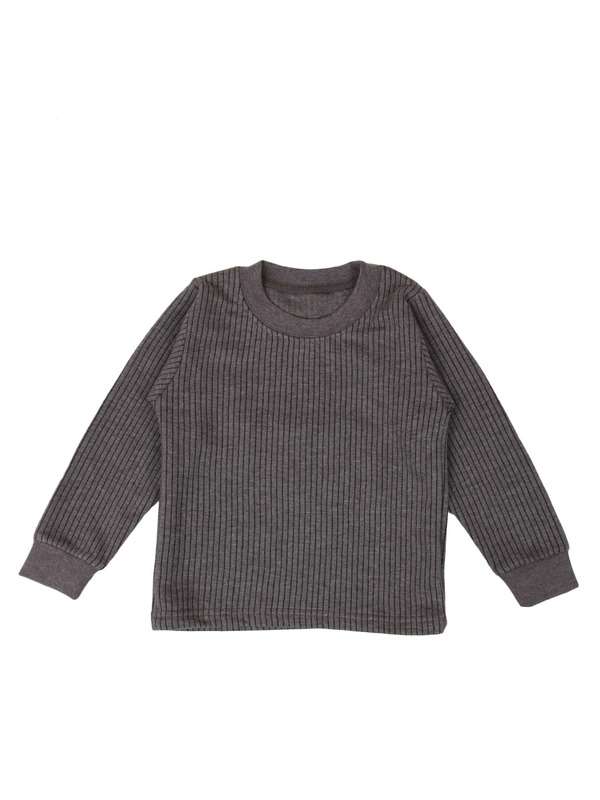 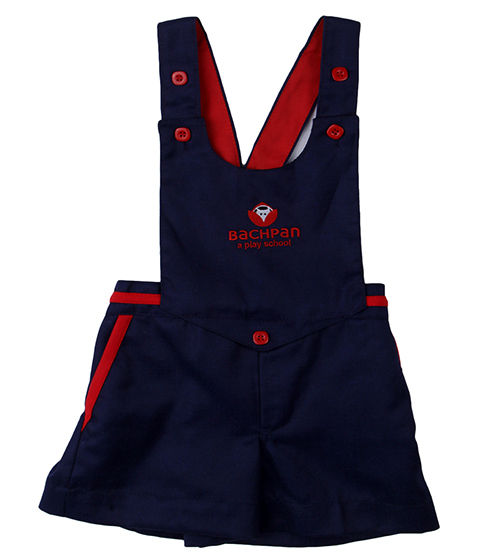 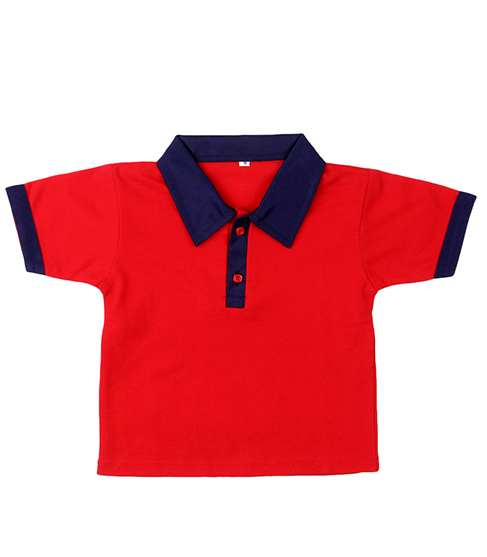 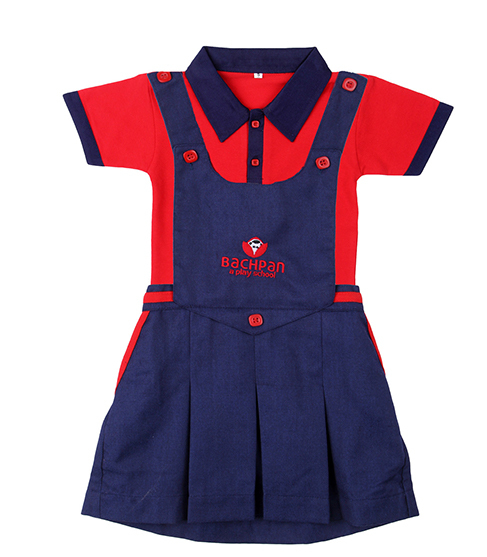 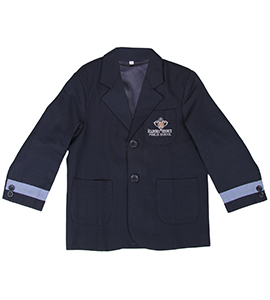 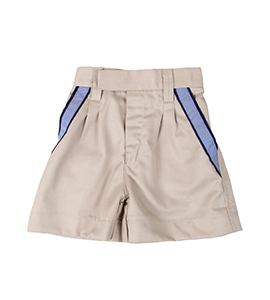 It has a wonderful & comfortable fabric for our tiny tots to be used as a summer season uniform. 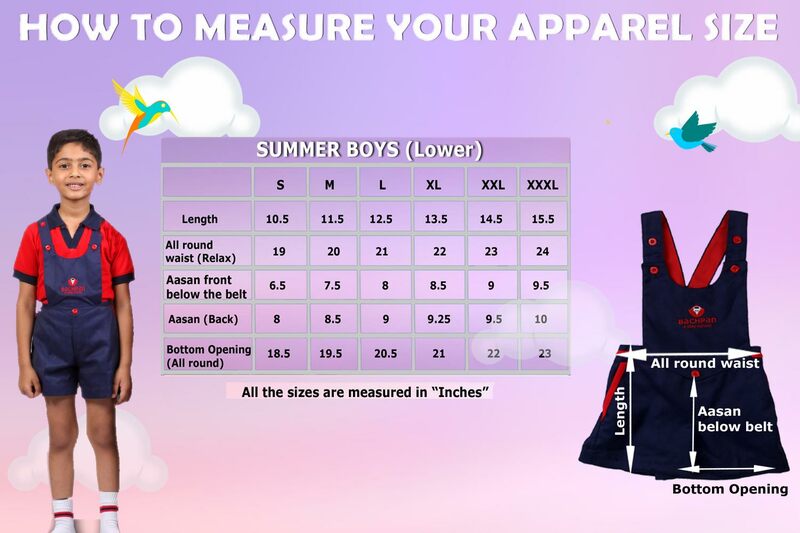 It comes in different sizes hence please check the size chart before ordering. 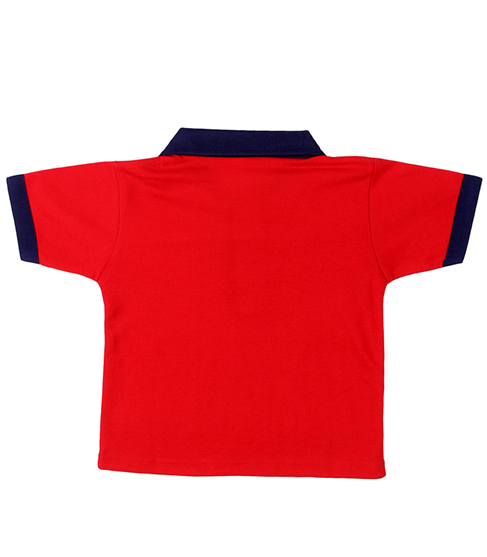 It is a part of the uniform which comes in red color with blue color collar.